In a crowded digital ad market, and with ad blockers on the rise, Instagram is an attractive option for brands with decent content looking for cut-through. Here's Marketing's crash-course on getting started. Instagram was launched in 2010 as a mobile app designed for people who wanted to share their photos with friends. It added the functionality for short, three to 15-second videos in 2013. The app and web interface offer a chronological feed of photos and videos from accounts the user has chosen to follow, interspersed with advertising. 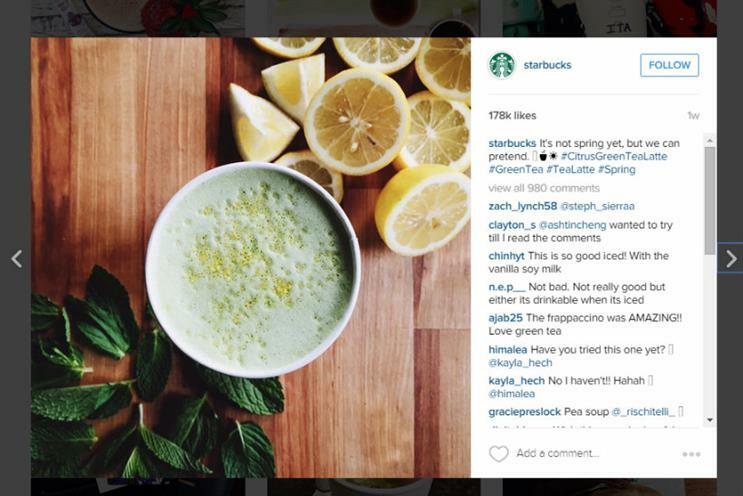 Instagram first introduced ads in the US in 2013 and in the UK in 2014. 2. Why should marketers be interested? With 400m users at a global level, Instagram is a bigger network than Twitter and Snapchat. It offers brands an image-led way of engaging with people and building a following, with users skewing towards a younger, female demographic. In the UK, women make up 60% of Instagram users between the ages of 16 and 64, according to GlobalWebIndex’s Q4 2015 survey. The 16-24 age group accounts for 46% of those users, followed by the 25-34 age group at 29%. That doesn’t mean that less glamorous brands won’t be able to find a niche, says DigitasLBi head of mobile Ilicco Elia, pointing to the popularity of aerospace company GE’s profile, which has 214,000 followers. Brands that want to reach a wider audience than their immediate followers can use Instagram’s advertising service, which is backed by parent company Facebook’s targeting capabilities and interface. "It gives access to an audience that is looking at a beautiful things in a fairly relaxed state of mind," says Elia. "If you have the wherewithal to deliver beautifully designed content and adverts it fits well, and that’s a combination that doesn’t really happen a lot on the internet." According to Instagram, nearly half of its users follow a business. It has demonstrated its readiness to help advertisers achieve specific objectives by introducing both brand and direct-response formats. The former include Marquee, which offers guaranteed impressions up to three times a day, while the latter include Book Now, Shop Now, Download and Sign Up. Amy Cole, head of brand development EMEA at Instagram, said: "People come to Instagram to be inspired and connect with shared passions. "This presents a great opportunity for brands and marketeers to reach customers when they're on their mobile devices and in a unique mindset of discovery." 3. Sounds great. But what are the downsides? First-time advertisers need to be aware that users can comment on their ads. In the early days of ads appearing on the platform, there was a backlash, says Elia. "People took an instant dislike to some brands they wouldn’t have associated with Instagram being forced on them. But I haven’t seen those kind of comments in such numbers recently. It has made advertisers learn the hard way about how to advertise on that particular platform." 4. Which brands are on board? Which aren’t? As far as brand profiles go, Instagram is an obvious draw for fashion and jewellery. But its appeal has crossed sectors from supermarkets to cars, banks, smoothies, TV, betting, popcorn, book publishing, crisps and model railways. Among the brands that stumped up the £50,000 minimum spend to be able to run the first ads in the UK in late 2014 were Starbucks, Waitrose and Cadbury. Advertising has been possible for a mass of brands since last summer, when Instagram opened up sales beyond its hand-picked partners in 38 markets. By last month more than 200,000 different advertisers had booked campaigns, according to Instagram. 5. Is it expensive to advertise? Instagram does not publicly discuss its advertising prices, but according to one media buyer, speaking anonymously, that expansion of the advertiser base brought about a big change in the economics of campaigns. Before the change, the cost of running ads was a fixed £14 CPM but the change reduced average CPMs by roughly 35%. Since then they have reduced by around 60%. The buyer said: "Although engagement rates have been falling – from 5% to 3% – as the platform becomes more competitive and users become accustomed to ads in their feed, the fall in CPM rates more than covers this shift to make the platform more cost efficient overall. "We have also seen persistently good reach and frequency figures from the start (lower than Facebook) indicating that the platform has not yet reached saturation with ads." 6. What size audiences can it reach and how measurable is it? A limited number of UK brands have managed to build a seven-figure following, including Adidas UK with 1m and Burberry with 6.2m. Instagram disclosed last July that it had 14m UK monthly active users, though it has not since provided an update to that figure. GlobalWebIndex’s survey-based data puts the active user base at 15% of UK internet users aged 16 to 64 years old as of Q4 2015. Of the reach of advertising on the platform, Elia says: "You buy a particular audience on Instagram rather than concern yourself with the full reach you can go to. With 400m global users Instagram is not Facebook scale – it’s more comparable to Twitter. But it the ability to target on all of the Facebook properties means you can get quite granular." Reporting metrics include video views, engagements, clicks, comments and post likes and segmentation options include age, gender, country, device, day of the week and time of day. Instagram claims that a Nielsen study of 700 campaigns between November 2013 and September 2015 found that 98% generated a significant lift in ad recall and the average ad recalls was 18 points, which is 2.8 times higher than Nielsen norms for online advertising. 7. What sort of brands is Instagram suited to? Having the visual output and appeal of a brand like Burberry or Land Rover is a great help in building a following. Perhaps this factor was behind Coca-Cola’s decision to commission fashion photographer Guy Arch and Nacho Ricci to shoot more than 100 static images for its new global campaign. To thrive on the platform a brand also requires a good social media team to comment on people’s posts and talk with, not at, other users, observes Elia. According to Instagram, demand for advertising is coming particularly from brands in the travel, entertainment and retail sectors. 8. Who's it not suited to? Any brand that can't come up with good visual content! 9. How has advertising on the platform developed? The latest Instagram ‘first’ for a UK advertiser was in February when Guinness ran the first 60-second spot, in the form of its new ad. Elia, who advises brands to adapt their advertising to Instagram rather than simply bringing across TV ads, wonders if 60 seconds might not be too long for the medium, but notes that the production values of Guinness ads are not in doubt. Instagram has given its advertisers more creative options than its regular users from the off, which Elia believes was down to the platform needing to give brands a chunky incentive to part with their cash given they can get quite a lot of mileage out of regular posts. 10. What’s its future - how should Instagram develop its offering? Elia predicts that Instagram will follow Facebook in swapping its chronological feed for an algorithmic feed, thus reducing brands’ organic reach but making advertising frequency more controllable. He also expects it to adopt the new fast-loading, full-screen Canvas mobile ad unit that Facebook is currently bedding in. Instagram did not allude to future developments, preferring to focus on some of the results brands have seen from advertising on its platform, such as House of Fraser reporting it saw more engagement on its Instagram Marquee ad than on any other social media channel during its Christmas campaign. The medium has been easy to sell to clients because they understand it, says Elia. "Most of our clients have dipped their toe in the water with advertising. I think it’s early days as to working out the actual ROI of a campaign and whether it is simply buying likes as opposed to influence, and whether that like is worth anything yet. However, the number of comments ads are attracting leads me to be optimistic." Can Vice make a virtue of its new TV deal? Are we finally entering an era of social good?